The Mocandunda Vineyard is situated on the rocky ranges to the east of the township of Clare and is one of the highest vineyards in the Clare Valley. It sits at an elevation of approximately 450 metres above sea level which provides for a long slow ripening period, resulting in intense varietal fruit flavours. The vines are virtually dry grown. The soils are free-draining and hold enough water to only require the smallest quantities of supplementary irrigation during the hottest months. 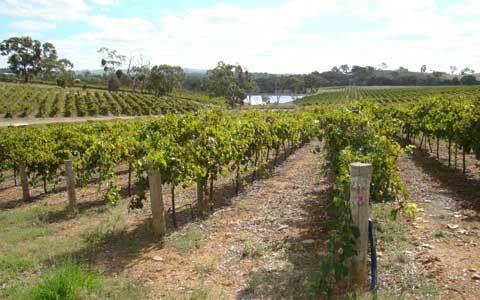 It is planted to riesling, cabernet sauvignon, shiraz and merlot. Trellised using vertical shoot positioning to ensure the best possible canopy management for the site and ultimately ensuring greater intensity of fruit flavour. The grapes produced and not retained to make wine under the Mocandunda label are highly sought after and supplied to several leading wineries in the Clare Valley.